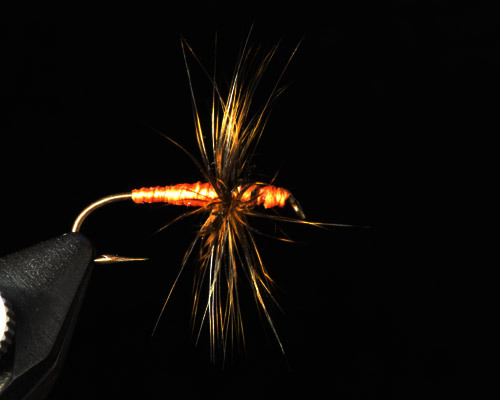 Below is John Burge’s take on a classic tenkara fly, tied after one of Yoshikazu Fujioka’s favorite patterns, and I think its visibility will be a great asset in a fast flowing mountain stream. 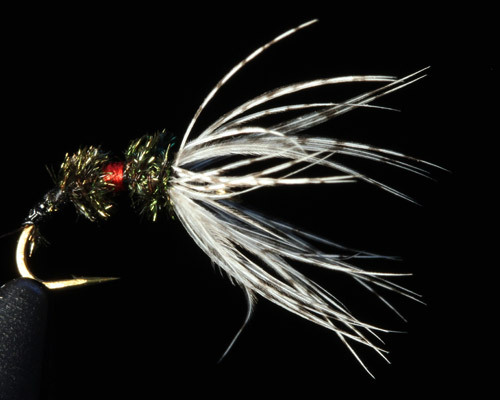 Bob Kern (Narcodog) tied the fly below, I really like the way the hackle matches the body. 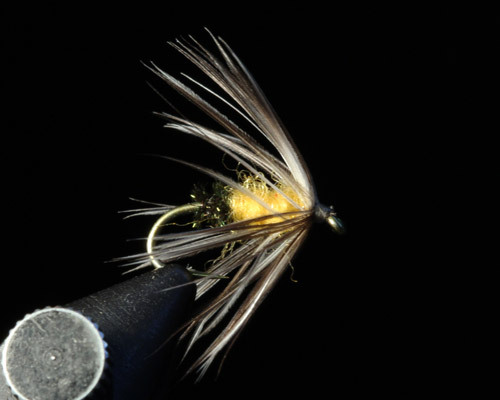 I kept the photograph a bit dark to accentuate the yellow of the hackle and the body. Very nice post. Between your content on here and what I read over in the vrauois forums, you’ve definitely become one heck of a tenkara devotee. Great to see such enthusiasm. P.S. I added you to my blogroll, us tenkara folks got to stick together.